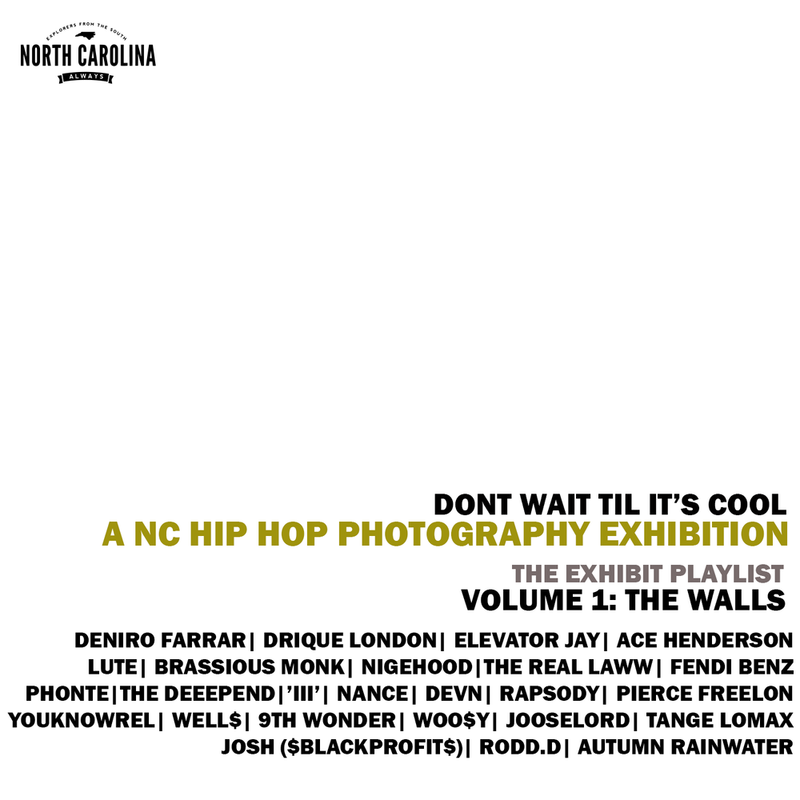 In an effort to bring everyone in on the amazing NC hip hop scene we're representing through the "Don't Wait Til Its Cool" Exhibition - Chanel from NC Always has curated two playlists. 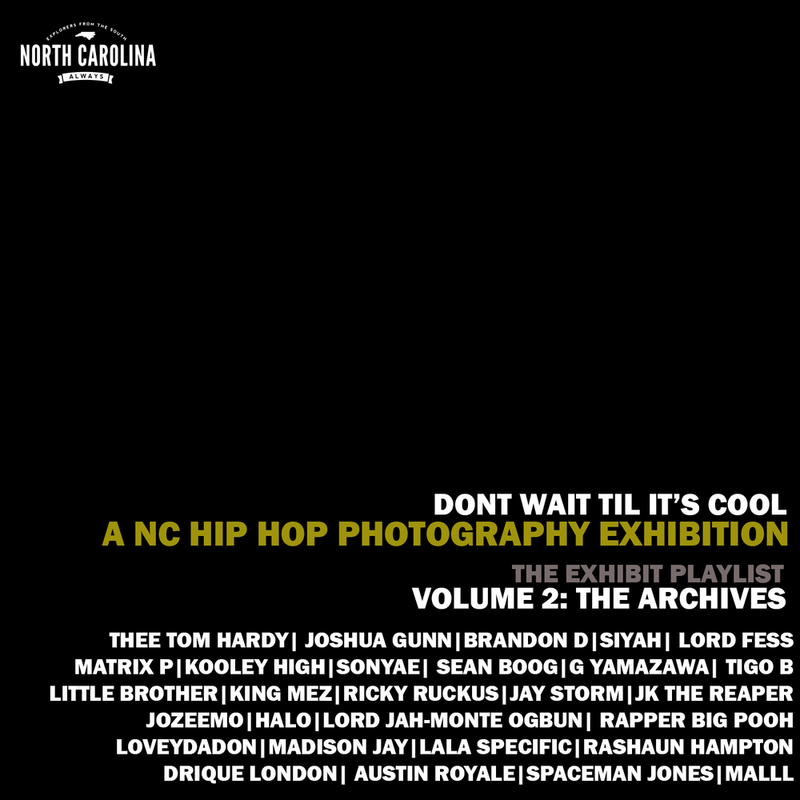 One playlist contains music from emcees and producers who are the subjects of the photographs from the exhibition. The second playlist is a compilation of other hip hop music from around the state. You can enjoy both below or on the soundcloud app!